The Columbia River, 1,210 miles in length, is the second longest river in America. Twice a day a huge volume of water running to the sea encounters an incoming tide at the mouth of the river. This phenomenon, coupled with the wind and currents from the northwest, causes heavy surf and a dangerous bar situation. John Meares sighted Cape Rogue, as it was initially called, on July 6, 1788. Captain Meares tried to find an entrance to escape the high seas he was experiencing. 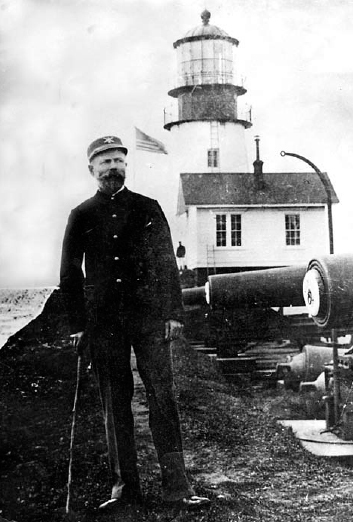 He wrote in his log,”…Disappointment continued to accompany us…” Because of his frustration he renamed Cape Rogue, Cape Disappointment.